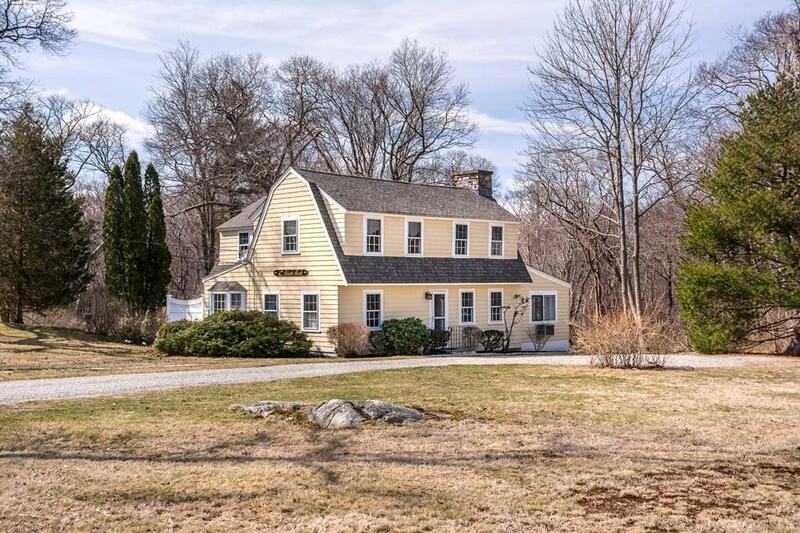 A coveted Black Rock Road " Original 1930 Cottage " rich in character and history and nestled in a bucolic .89-acre setting with a woodland backdrop and scenic natural beauty a short walk from Black Rock Beach. The idyllic neighborhood is special in every way and the minute you walk in to this inviting home you are warmed by the powerful see-through fieldstone fireplace that graces the living room, dining room and sun room. The updated kitchen has a dining and sitting area with sliding glass doors that open to a private deck overlooking the lovely side yard and secret gardens. A second deck overlooks the completely private back yard. The second floor features a light-filled master suite and two additional bedrooms that share a full bath. A fourth bedroom is on the first floor with its own bath and walk-in closet potential. A detached two-bay garage plus storage can easily be three bays. Surrounded by trees and nature, the land alone is extraordinary and well worth the asking price !! !